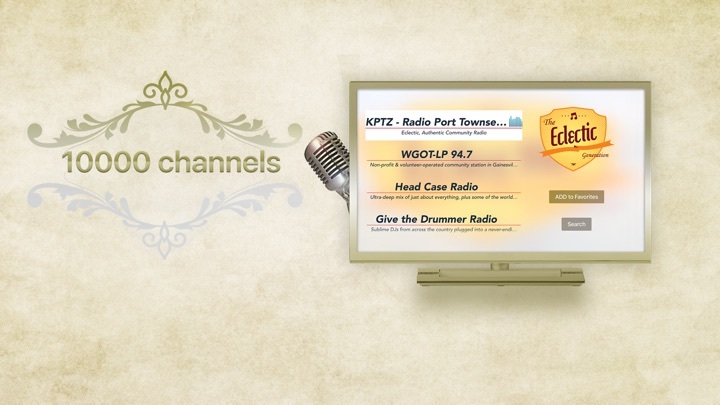 Who said you can only watch television on a TV, you can as well use it to listen to Radio! Especially when you got more than 10.000 different stations available, well sorted in different genre and with a search that makes it easy to find the stream you were just looking for. 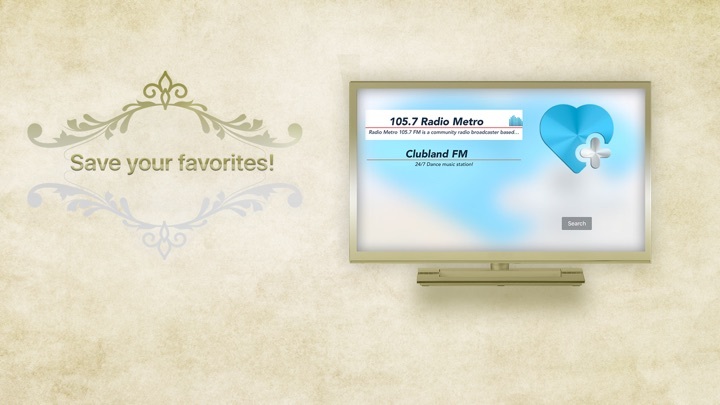 Of course, everybody has their favorite stations with their favorite DJs, playing the preferred style of music. And since everybody has their favorites, we made it so that you can save them. 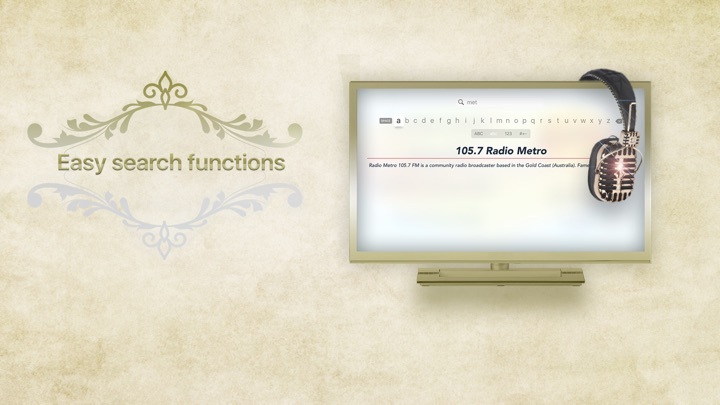 Right, save your favorite stations and find them rioght away whenever you want to listen to them. 10.000 stations is a huge number to choose from, like really huge. That's why we are sure you will love the search function. In fact, we put some extra work in there, after all we need that as well since we too belong to those guys that use the TV to listen to the Radio. Rock, Country, News, Pop, Indie, Electronica, Jazz, Alternative, Experimental .... there's so much the internet offers to stream, and it all comes together in this app! With the choice this app offers, you can be sure to find the tune that you will just love! Who said that Video killed the Radio Star? No way, forget it, not with this app! BẠN CÓ TẦM NHÌN. CHÚNG TÔI CÓ CÁCH GIÚP BẠN ĐẠT ĐƯỢC TẦM NHÌN ĐÓ. HÃY TRỞ NÊN TUYỆT VỜI!